Probashe (overseas) when it rains and floods like monsoons in Kolkata, complete with the smell of damp kadam phool (possibly imaginary) and numerous potholes that developed on the roads overnight, and you discover kola pata (banana leaves!!!) 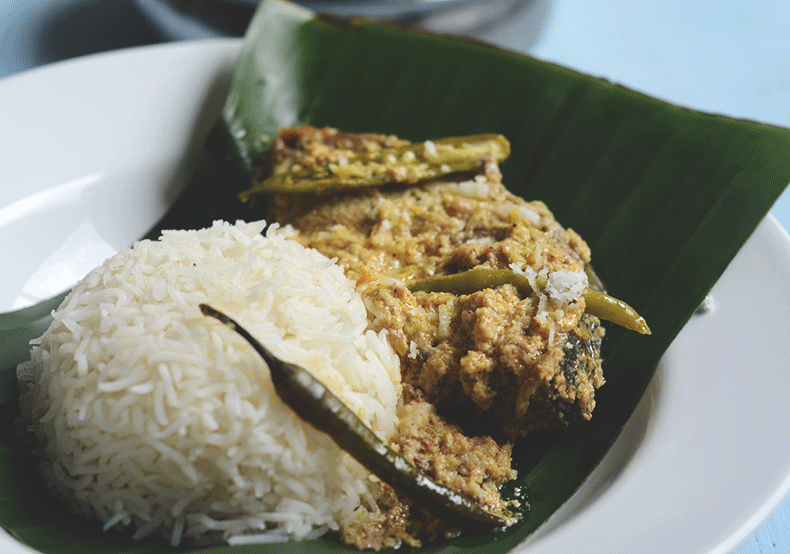 in your local grocery for the first time ever in the history of not-living-in-India, and you have some good ilish (possibly frozen the same year that Nehru was born) aging in your freezer, bhape ilish must happen. And it did. Mix all the ingredients in a metal container with a fitting lid (metal tiffin box). In a deep pan with fitting lid, bring about 1 inch of water to a boil. 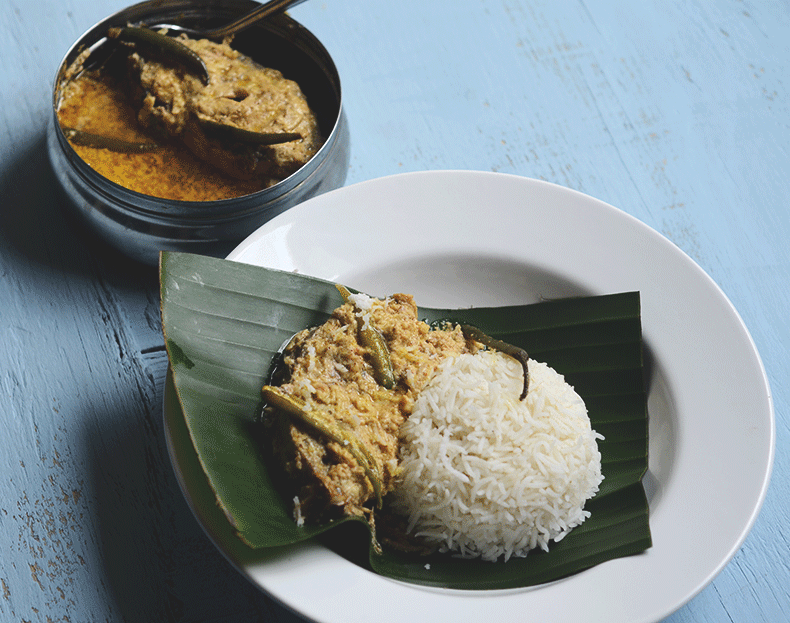 Reduce heat, place the metal tiffin box in the pan (the water must not cross the rim of the tiffin box), cover the pan with the lid and let it steam over low-medium heat for 35-40 minutes. Alternately, you can wrap the marinated fish steaks in banana leaves secured with kitchen twine, and cook in a steamer, or rice cooker, or perforated double boiler for 30-40 minutes. I did this last week .! 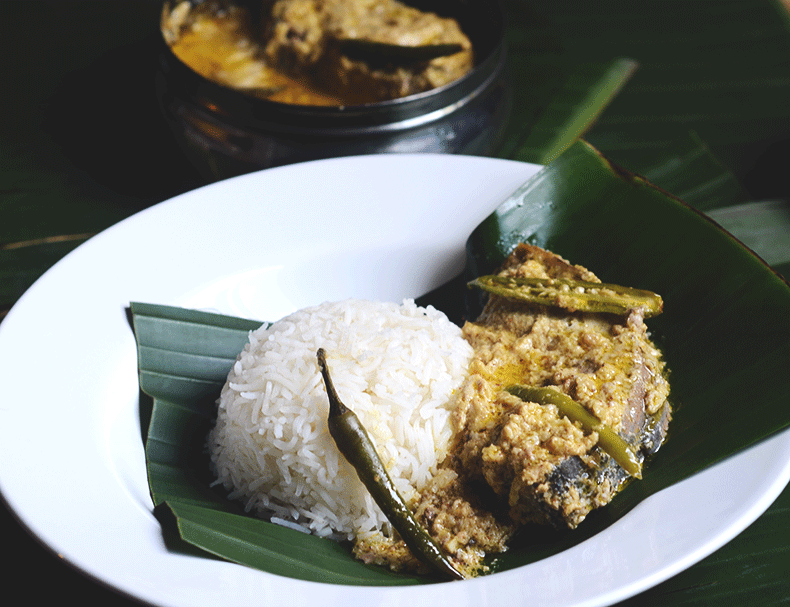 I was eagerly waiting for a hilsa preparation and THANKS a ton for this very simple yet delicious recipe!